Relax and unwind with live entertainment by pianist Samuel Zane every Saturday, from 8:30 pm onwards at the Dome Restaurant of Meru Valley Resort. 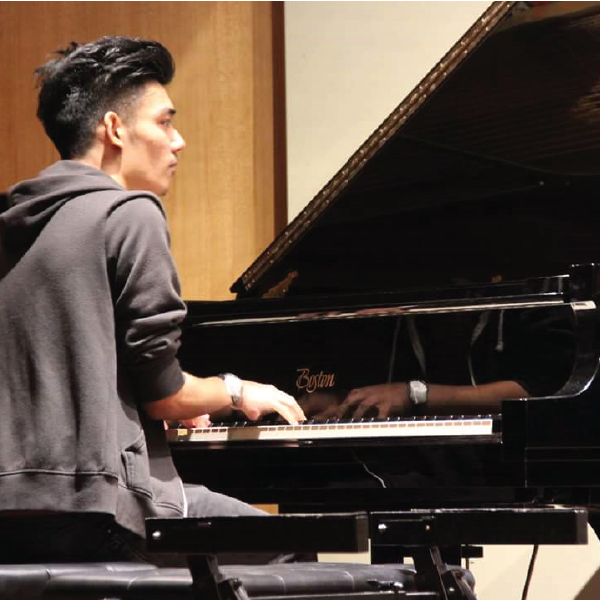 Born in 1995, Samuel Zane started playing piano since age four, under the tutelage of Hin Ee Jeng, who is an active keyboardist and pianist for local artist and music directors. His talent was honed in UCSI with Bachelors in Contemporary Music. Besides piano, his passion toward music have drawn him to learn several other music instruments such as the guitar, bass guitar, drum and ukulele. His evolution as an instrumentalist have been greatly influenced by a myriad of musical genres of various eras. His inspirations includes Avicii, Coldplay, Jonas Blue, Five for Fighting, Bryan McKnight, the 1975 and The Script. Samuel enjoys playing music of pop, R&B, jazz, bossanova, & dance music. The 24-year-old soloist has performed in many special events, especially at weddings. He is constantly outdoing himself and is more than happy to take on special requests from guests, no matter how challenging it may seem to approach on the piano. His fondest musical memories would be the graduation recital performance. In addition to performing, he devotes much of his time nurturing young talents as a music teacher. He believes that music is a journey, therefore one should stay passionate and keep practicing. To reserve a table at Dome Restaurant contact 05 529 3358.